To give the student a balanced music education through the study of piano theory, technique, history and literature. To develop poise, confidence, self-esteem and discipline through study and performance. To inspire a love and understanding for all kinds of music. To have FUN! Emphasis is put on proper technique, including mastery of scales, chords and arpeggios. Theory is taught using written assignments and reinforced with the use of entertaining and demanding computer software. Theory is integrated so that students understand the musical components of the piece they are studying. Music is approached through the historical period in which it was written, and knowledge of the composer, his life and times. Elementary level: 60 minutes per week, including 40 minutes private instruction and 20 minutes computer lab. Kindergarten age students may begin with a 30 minute lesson and 15 minutes computer lab. Intermediate level: 70 minutes per week, including 50 minutes private instruction and 20 minutes lab time. Advanced level: 60 minutes private instruction and computer lab as needed. Tuition is based on a 40 week year and includes $60.00 worth of materials and/or fees and two recitals. Students will be credited or billed for the difference in actual expenses. 44 weeks of lessons are given per year, allowing for a few weeks of missed lessons due to absence or illness of either student or teacher. There is an initial enrollment deposit of $100.00 due along with the first tuition payment which is good toward your last tuition payment when 30 days notice is given upon termination of lessons. Tuition is billed in six equal bimonthly installments, due on the 5th of the month in August, October, December, February, April, and June. Payments made after the 5th incur a late fee of $10.00. Payment may be delivered at lesson time or by mail. Studio recitals are held in the Fall and the Spring of each year. The Fall Recital features special themes, focusing on different genres of music or honoring particular composers. The Spring Recital is a celebration of all the accomplishments of the year, including Certificate of Merit. In addition, students may choose to enter other recitals, festivals and competitions available to them, including community service recitals held at retirement homes. 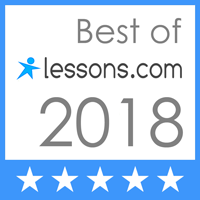 Certificate of Merit™ is an annual evaluation system sponsored by the Music Teachers’ Association of California, featuring a performance audition, written theory test, and aural listening examination. Registration takes place in October and the evaluations are held in March of each year. Students receive certificates for passing each level, and may be chosen for special honors and additional performances. The studio follows the calendar of Capistrano Valley School District, closing for Spring Break, Memorial Day, Independence Day, Labor Day, Thanksgiving, Winter Break, and a few weeks in summer. The studio remains open for other holidays. Please see the calendar for more detail.